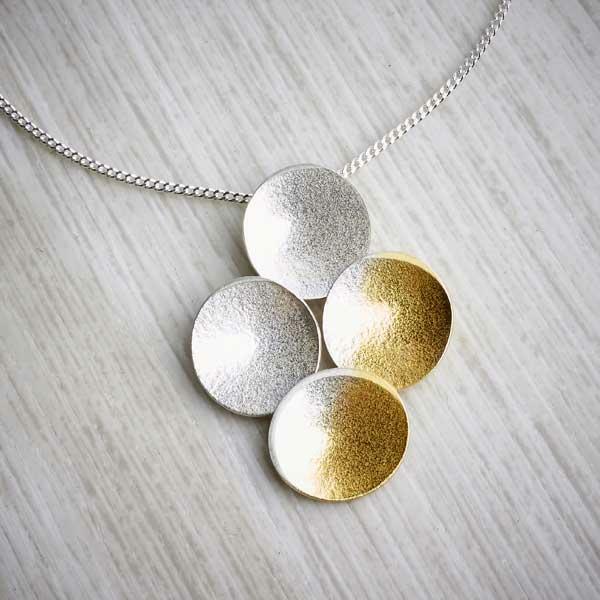 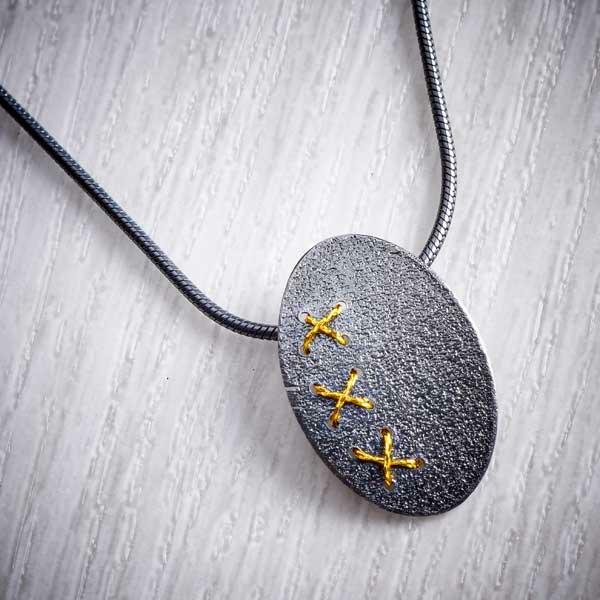 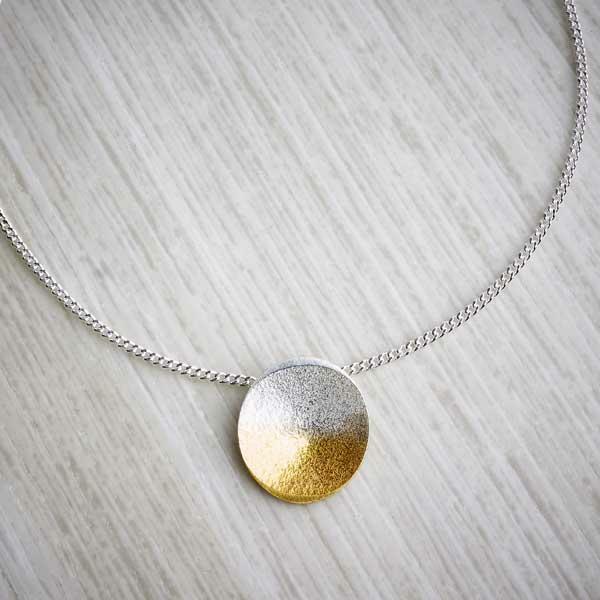 This cheerful silver pendant makes every day feel like a sunny Sunday. 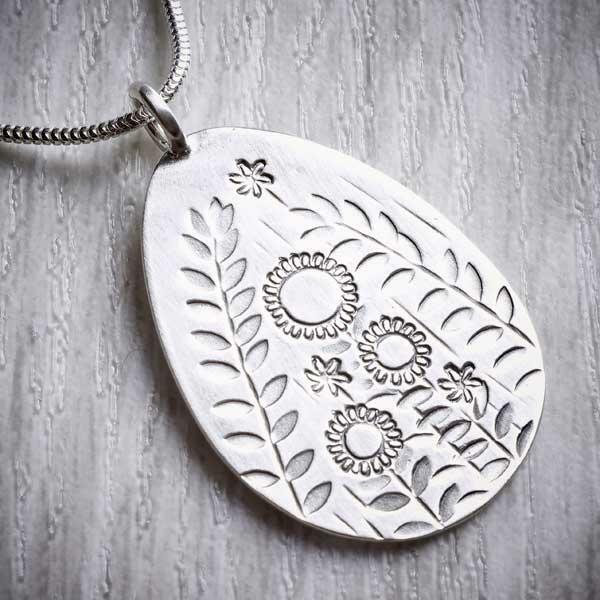 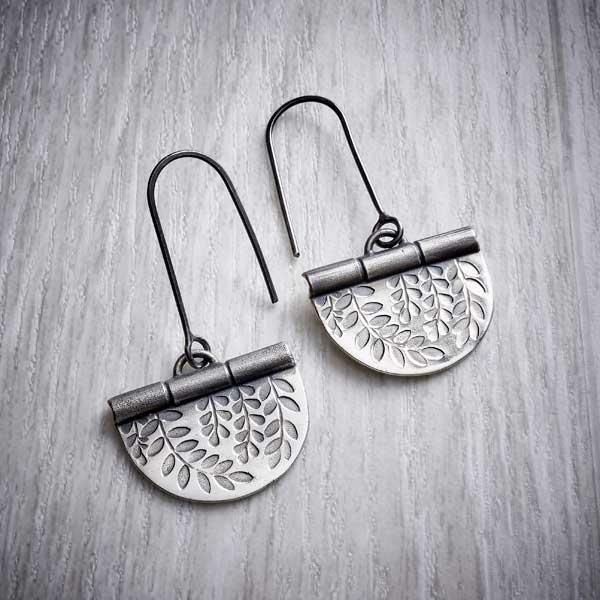 Detailed patterns of flowers and leaves create this summery garden inspired silver pendant. 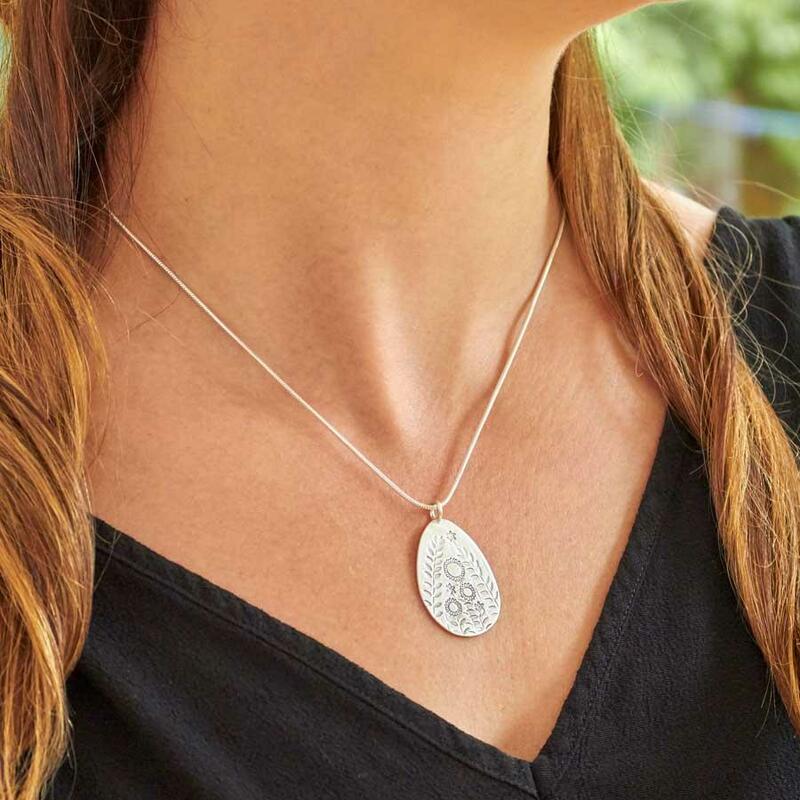 This pendant is a celebration in silver of summer flowers. 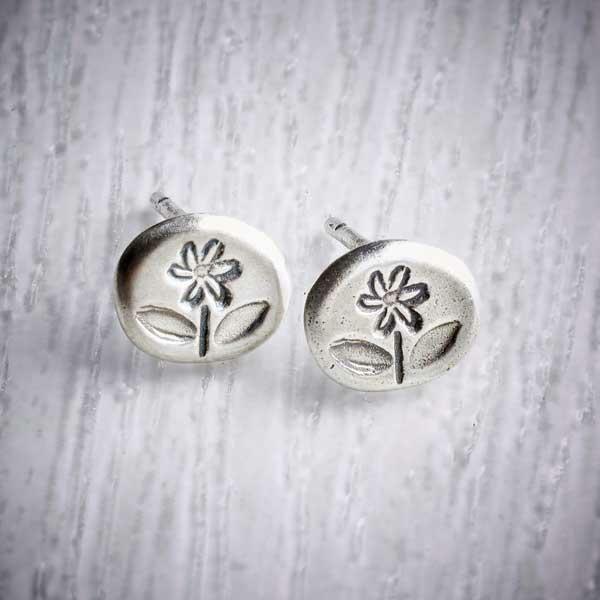 Inspired by glorious summer gardens, stamps were used to build up the flower design in an illustrative style. 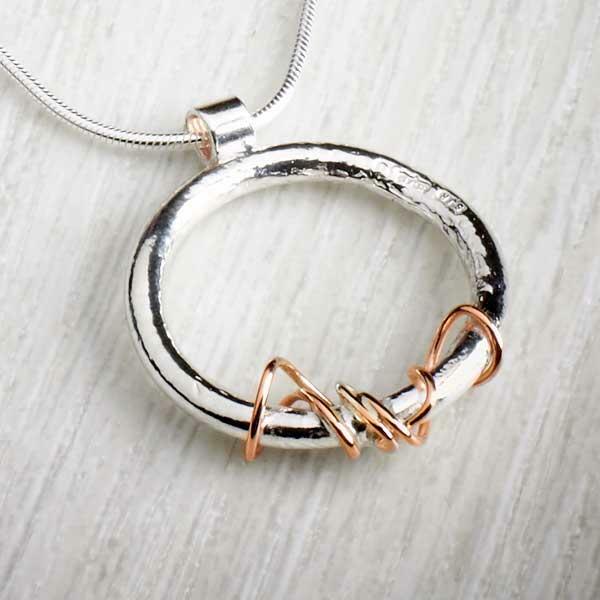 Dress it up or down, this pendant can be worn every day or to add a silver note to a special outfit. 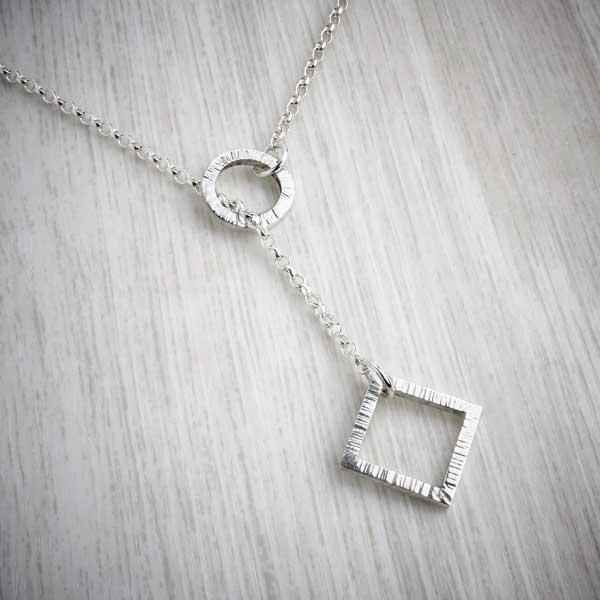 The pendant and chain are made from solid .925 sterling silver. 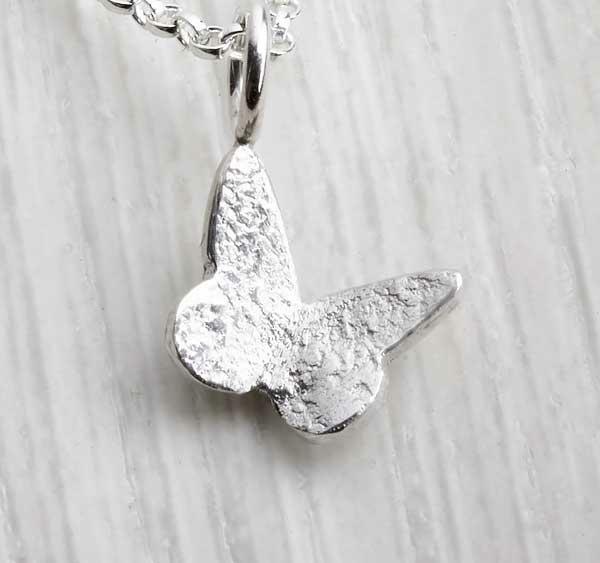 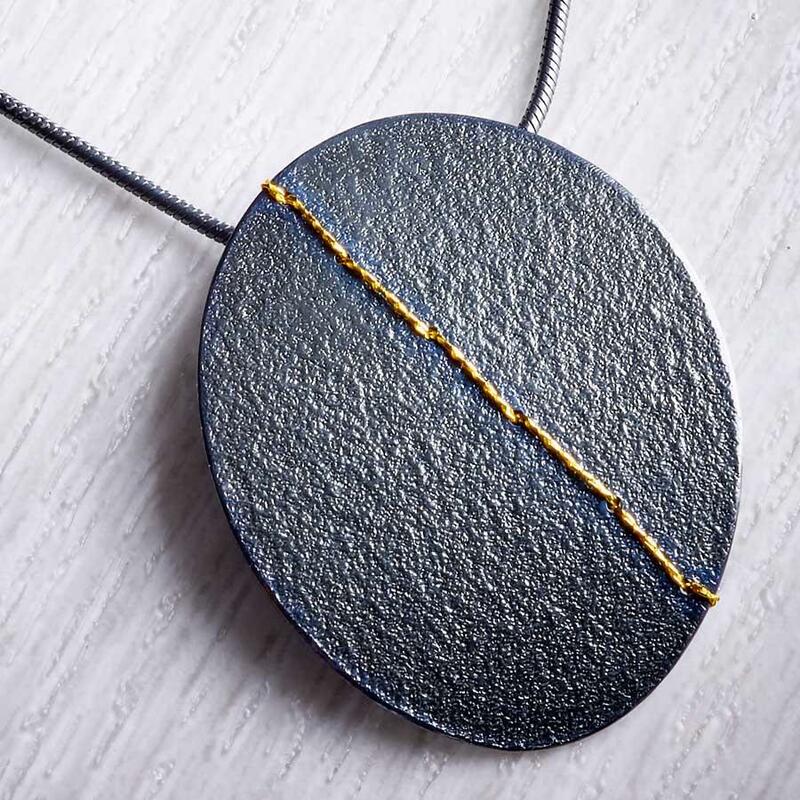 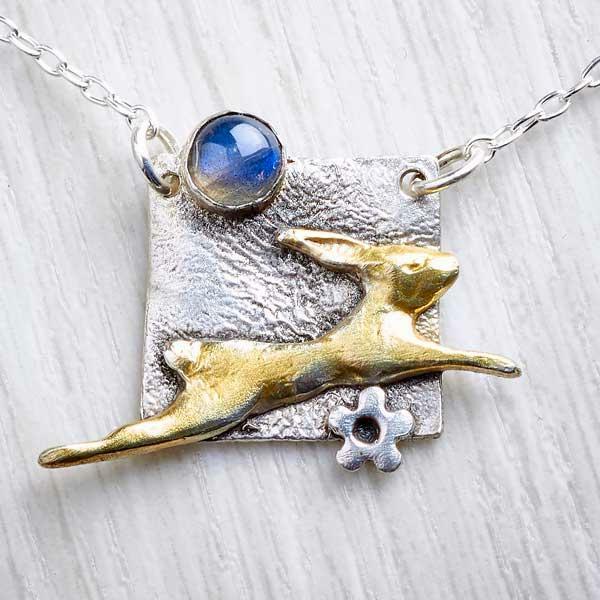 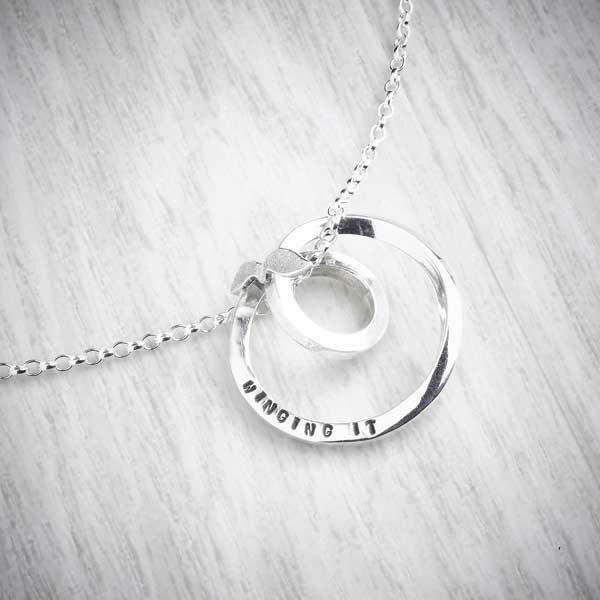 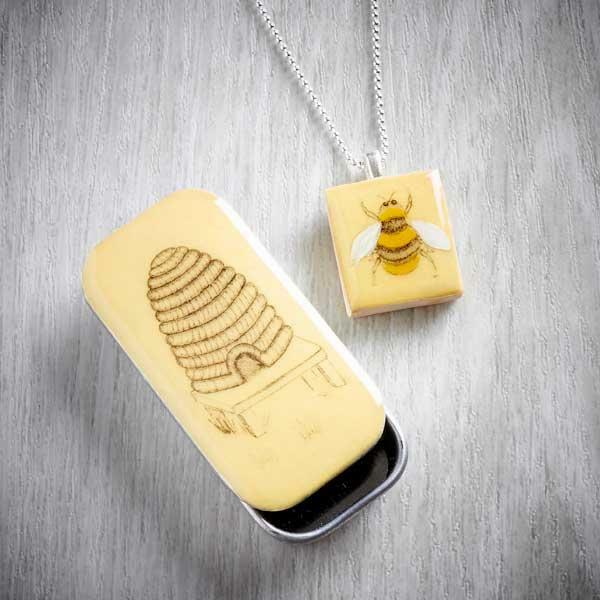 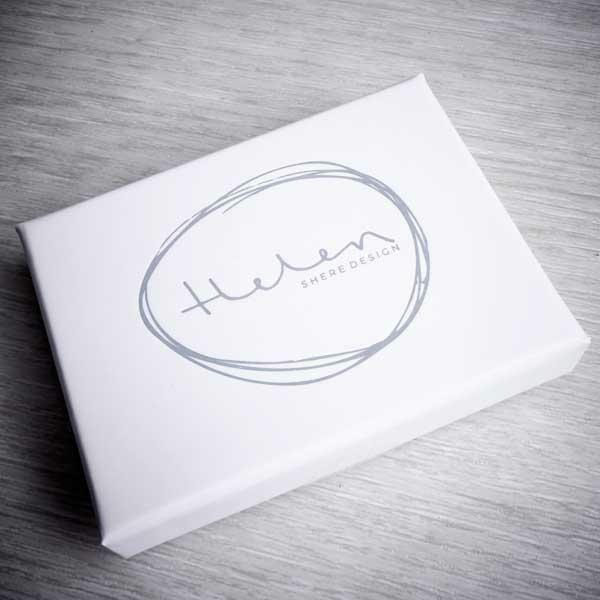 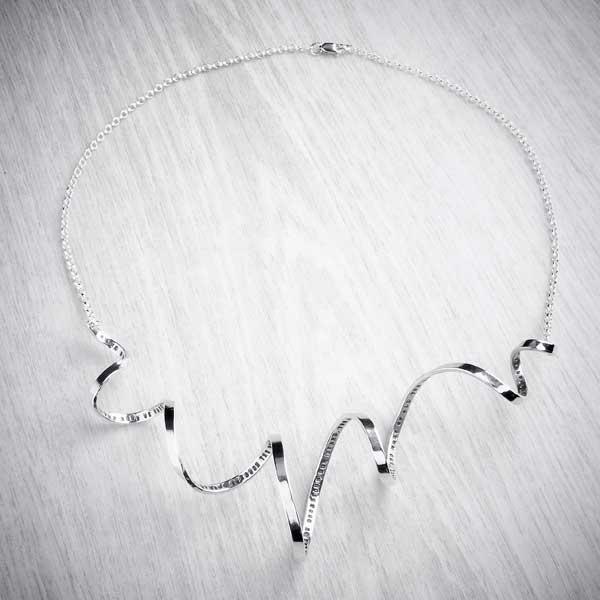 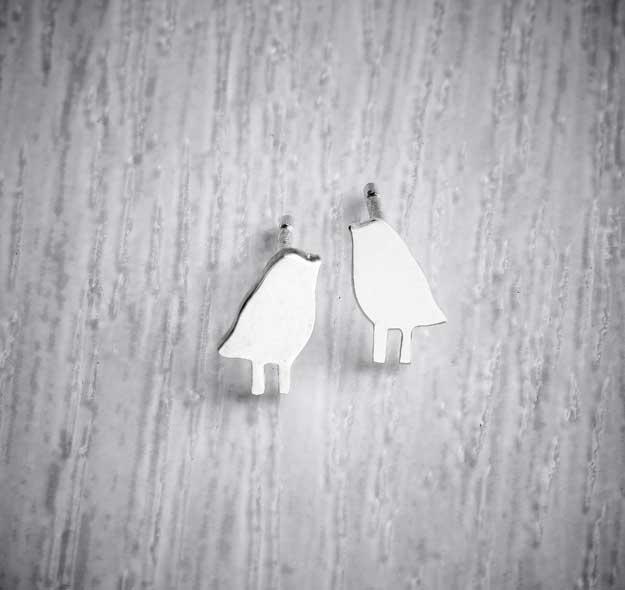 The pendant will be sent in a signature Helen Shere Design white and grey gift box making a beautifulpackage for a gift. 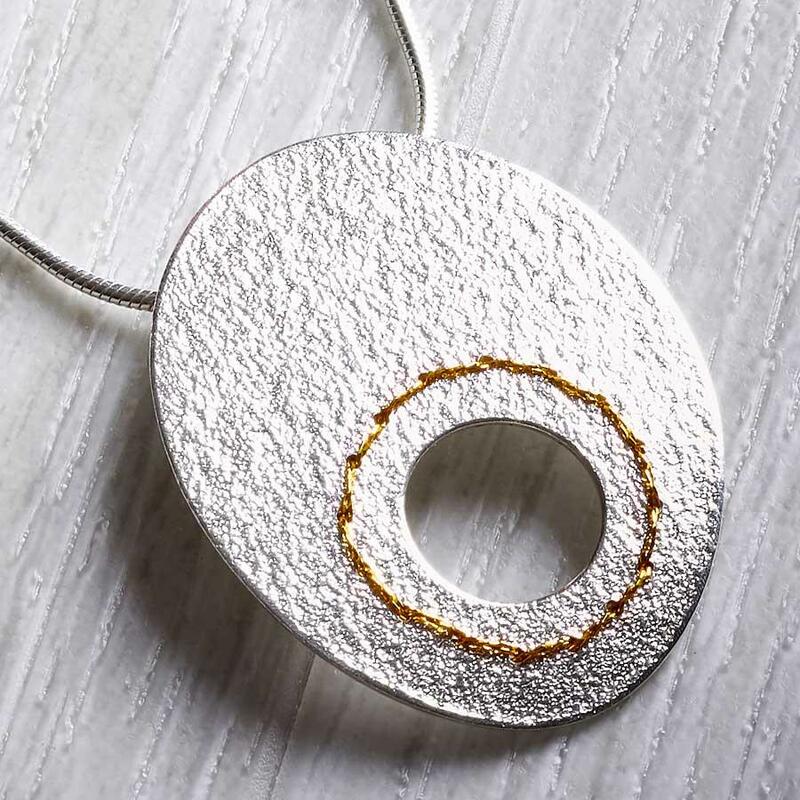 To clean the pendant, a jewellery polishing cloth can be used to gently remove any tarnishing. 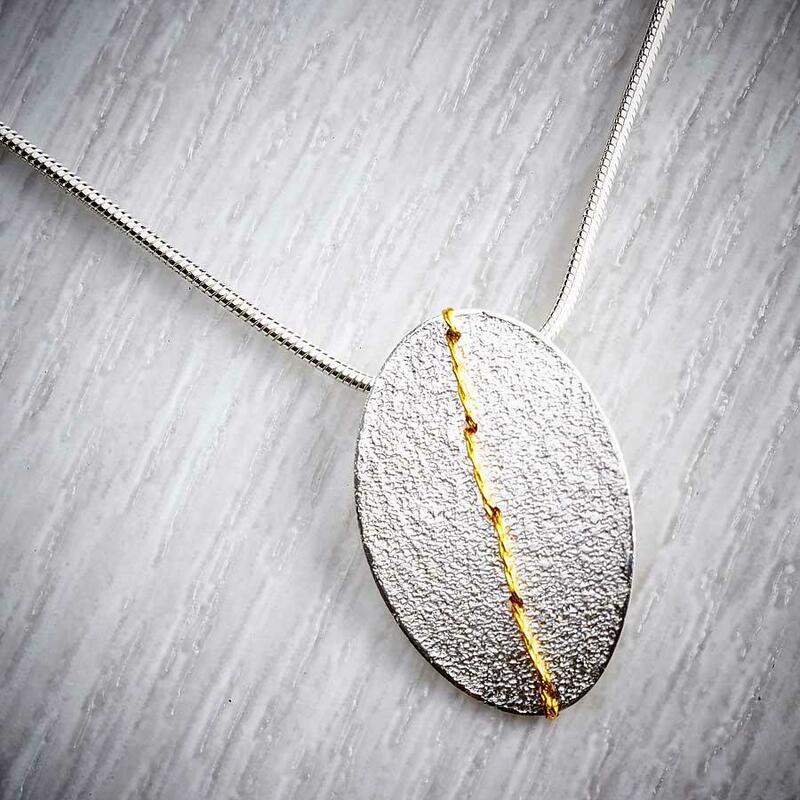 I would not advise using silver dip as this will remove the black oxidisation which is part of the design.